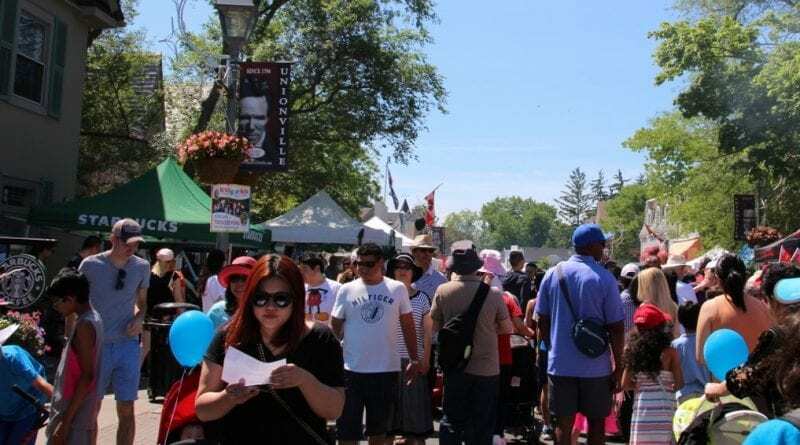 The Unionville Festival has long been a community institution where fun is had and memories are made under usually sunny skies. A high-time on the calendars of locals and visitors alike to enjoy the spirit and camaraderie you’d expect from the small town Unionville was, even as this special place was long ago enveloped by the City of Markham and growing into a metropolis in its own right. With this the 50th year of the festival, it’s worth noting that the original reason the festival was started was not to just have fun, but it was born of protest to save the town. The Krazy Kraft race is a highlight of the festival weekend. The festival was originally organized to raise awareness of the province’s plan to run a widened Kennedy Rd. through the historic downtown Locals fought and eventually won a battle to detour Kennedy in the way we now drive every day and bypass the historic jewel we now appreciate. It turned out to be a fifty-year-long celebration of community and Unionville Main St. This year’s event on June 1 and 2nd promises to be bigger and better than ever with festival weekend incorporating a dance at Crosby arena Friday evening, the usual Saturday morning parade, Heritage Train rides, family fun zones in Crosby Park and also the colourful Funky 5k on Sunday morning. 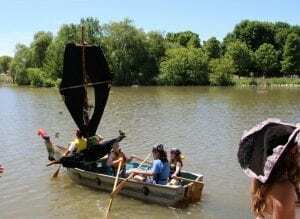 Tack on the annual Krazy Kraft race in Toogood Pond, music at the bandstand and on the street all day long plus a fireworks finale on Saturday night and you have one full weekend. Of course, with Main St. closed for the festival from Friday evening through to the Sunday evening, parking will be a mess. So you might want to take the bus, bike or take a nice walk over to the festivities. You can rest on one of the patios when you get there. It will be a fine way to ring in the 50th year of the festival, just like the last forty-nine.